Highmaster: Let it be written... are you writing this? 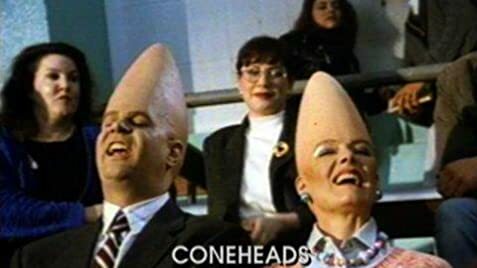 "Coneheads" is the perfect kind of movie to have on killing time late at night, or when you just want to veg and not think about anything. The humor in the movie is simple to understand and easy to laugh at. Adam Sandler's cameo in the movie was great. Sinbad has a cameo too that he turns into many laughs. This movie was fun to watch. 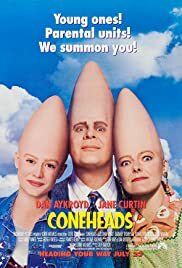 Of course there are many jokes about how these people have cones for heads, but that is the title of the movie, so no complaints warranted there. Dan Aykroyd really loves his Beldar character, and it shows here as much as it does in the many Saturday Night Live skits about the Coneheads.